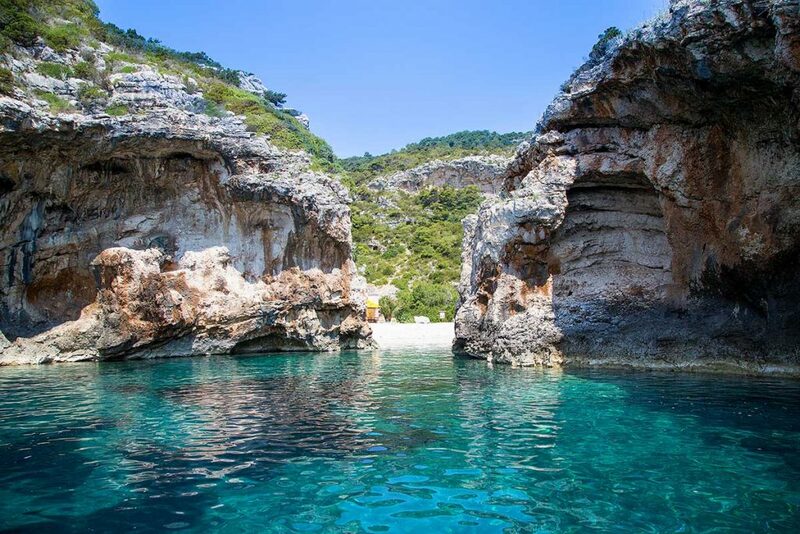 The amount of beauty in one place is absolutely marvelous. 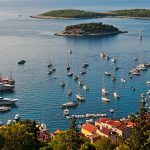 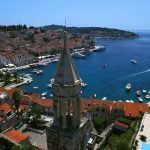 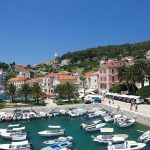 This stunning town is one of the major ports with the same named island and one of the most important highlights in Croatia. 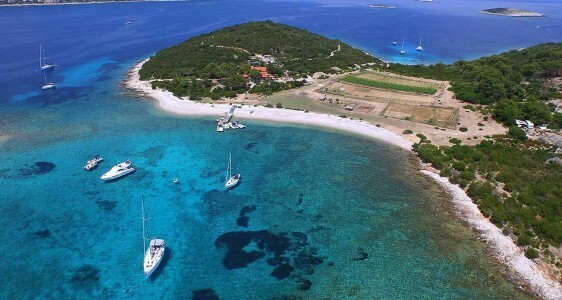 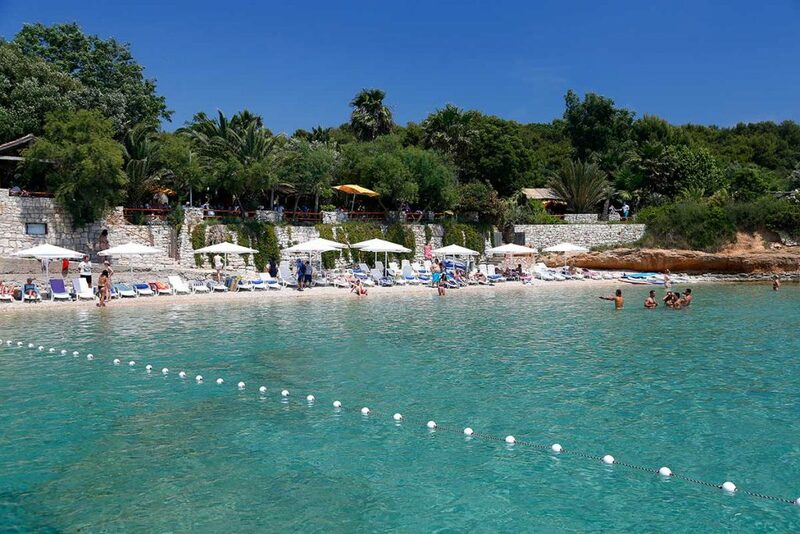 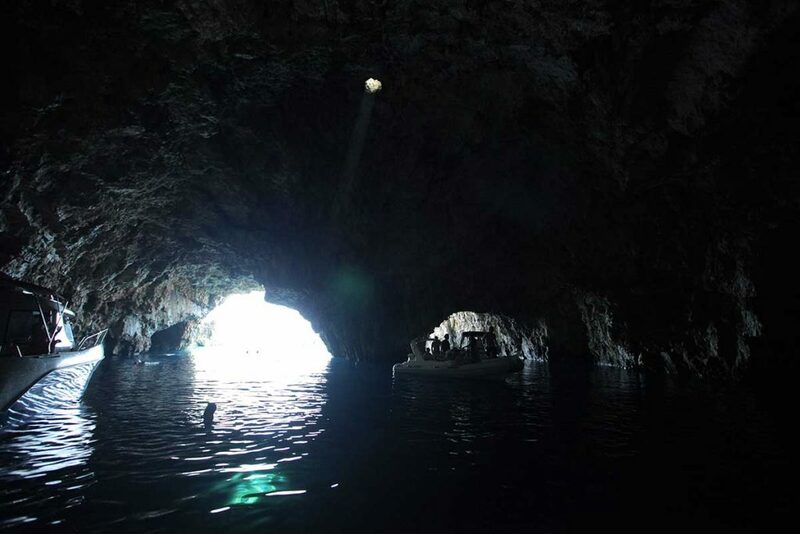 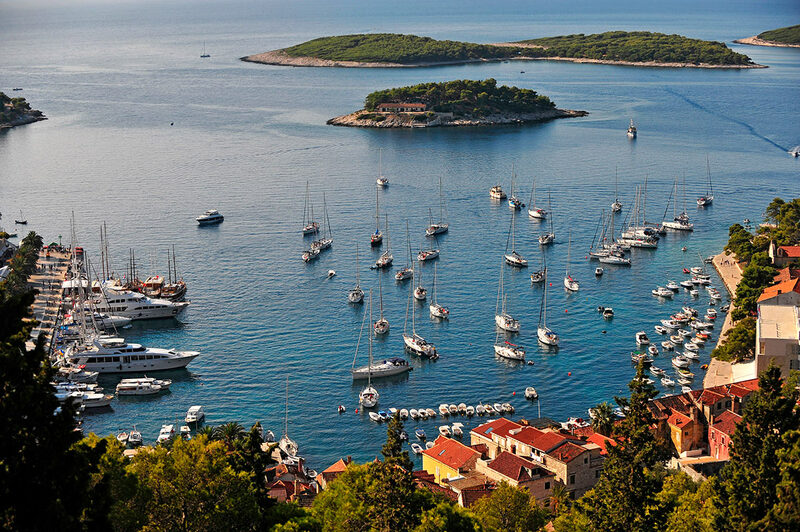 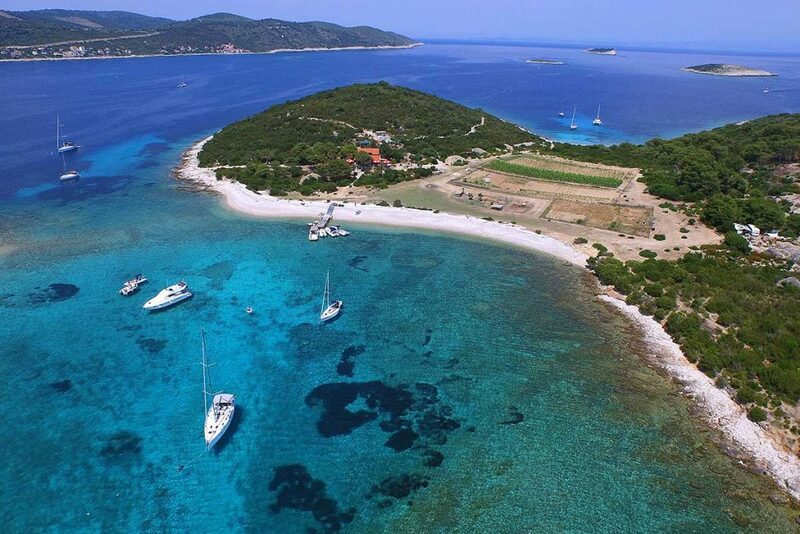 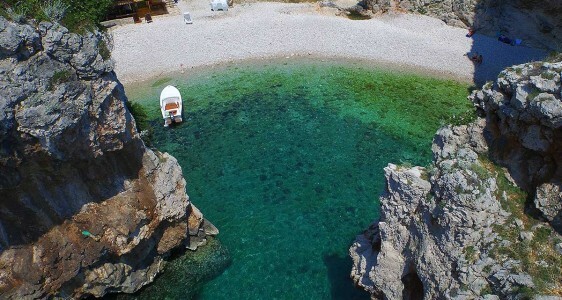 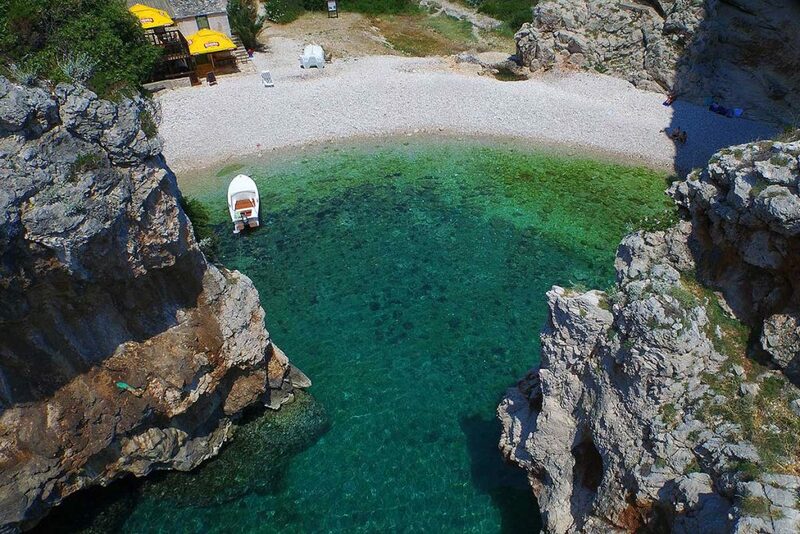 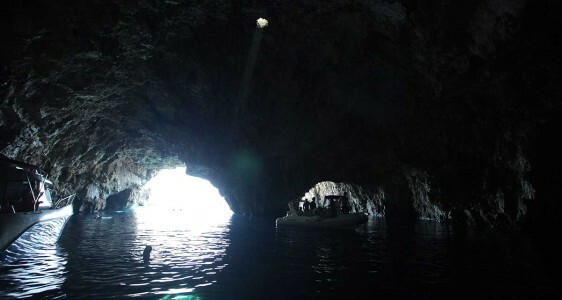 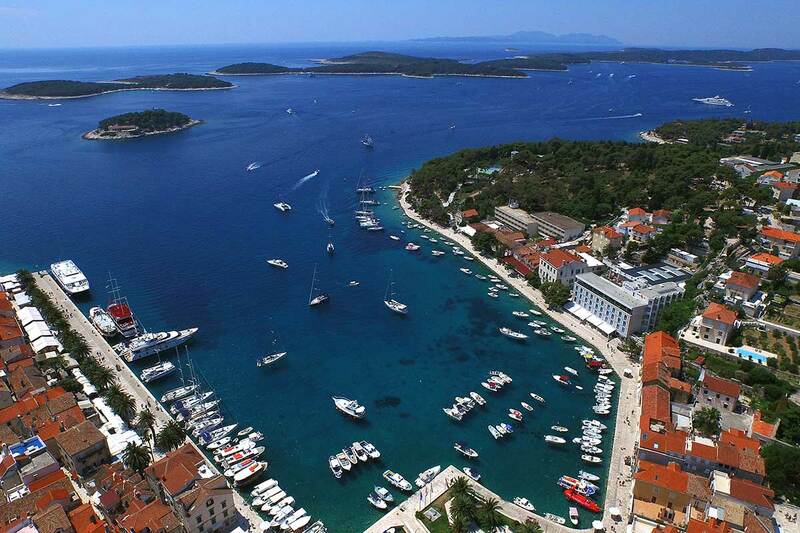 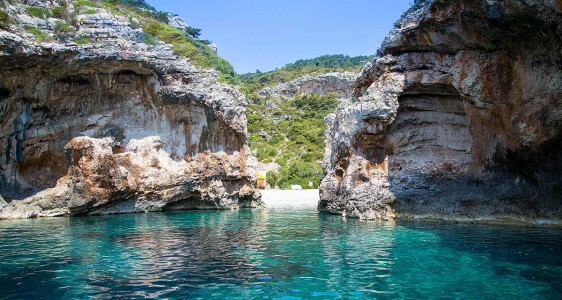 It is the longest and the sunniest Croatian island and one of the most beautiful islands in the world. 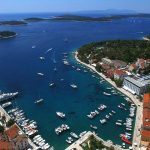 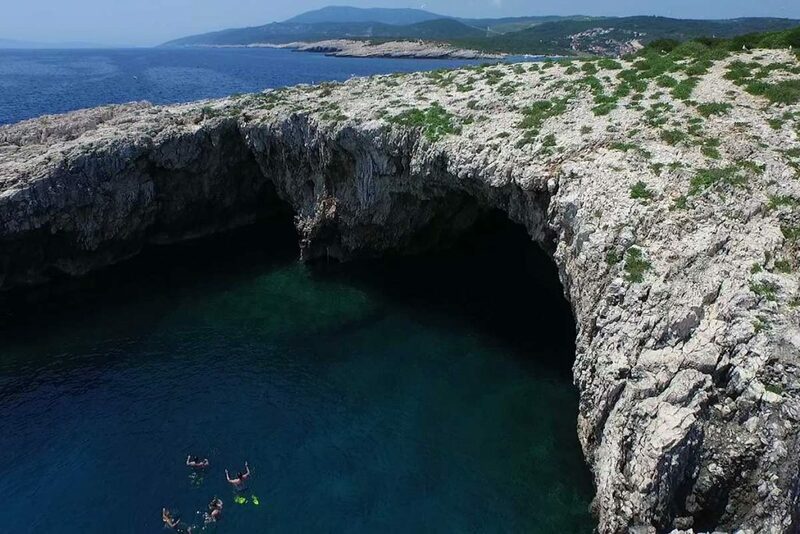 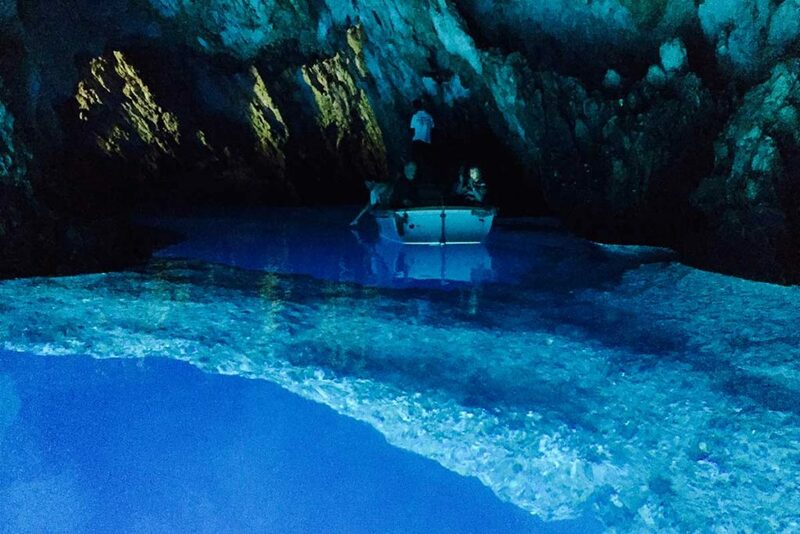 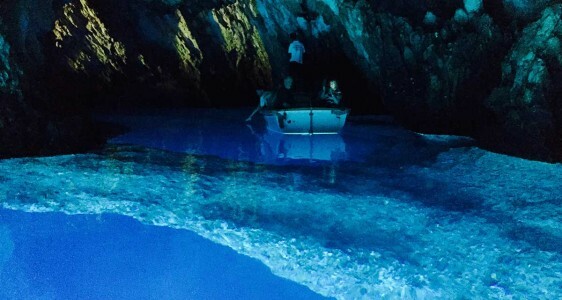 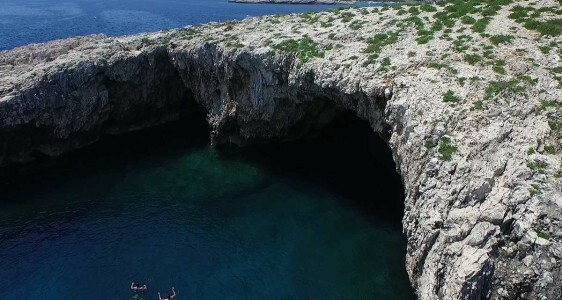 It is administratively part of the Split-Dalmatia county in Dalmatia, Croatia.The town is located in a small bay on the south coast of the Hvar island. 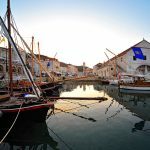 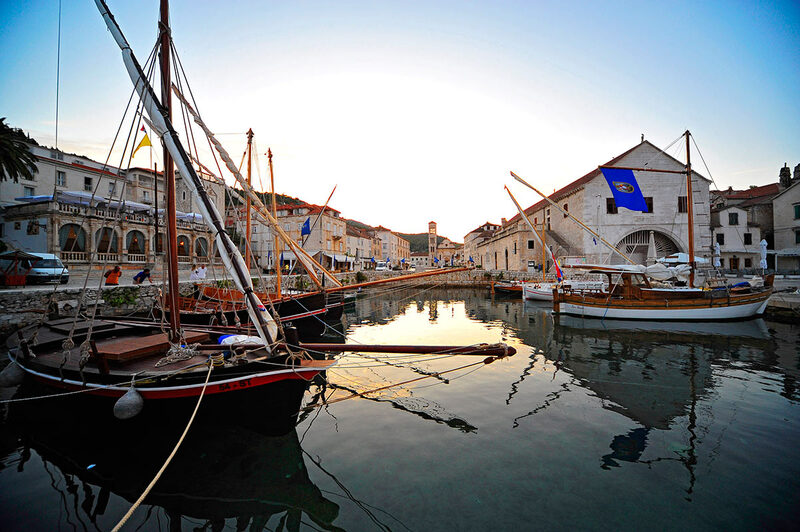 Hvar town has a long and distinguished history as a center for trade and culture on the Adriatic.As one of the earliest tourist boards in Europe, it was founded in 1868 with the purpose of providing good care for visitors. 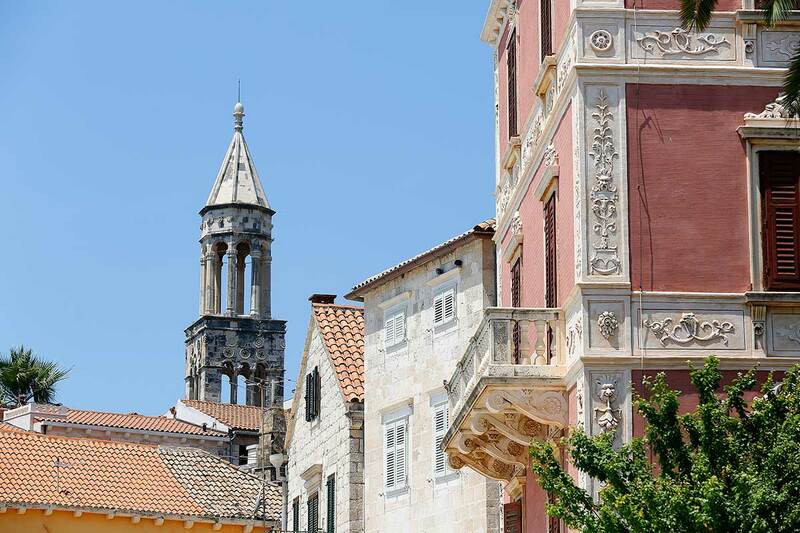 Today, it has a variety of apartments and hotels, galleries, museums, and exhibitions, including the Arsenal, Loggia, the Croatian Institute, and the Hvar Heritage Museum with its art and archaeological collections. 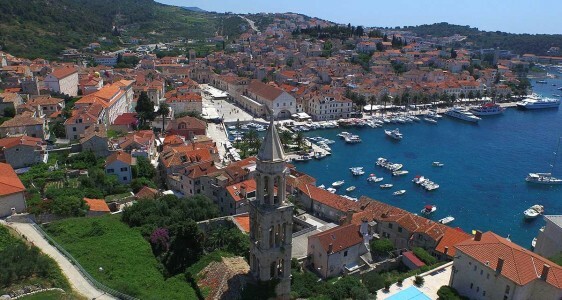 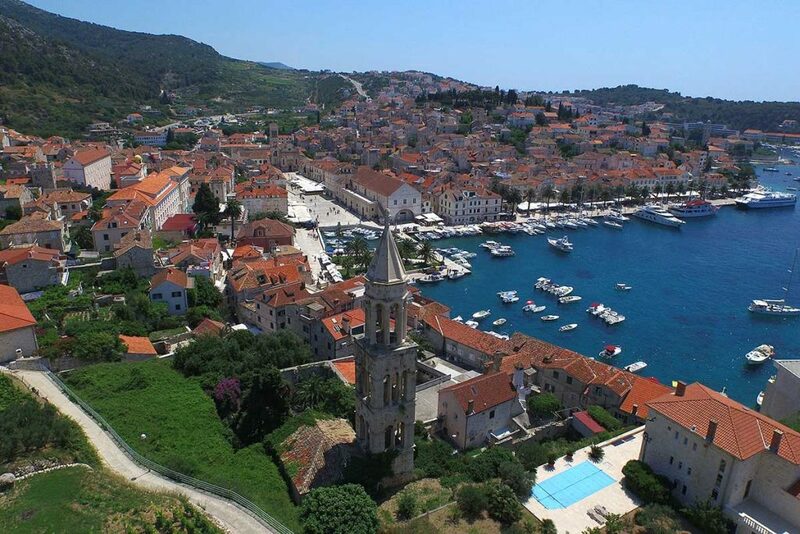 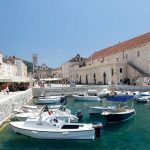 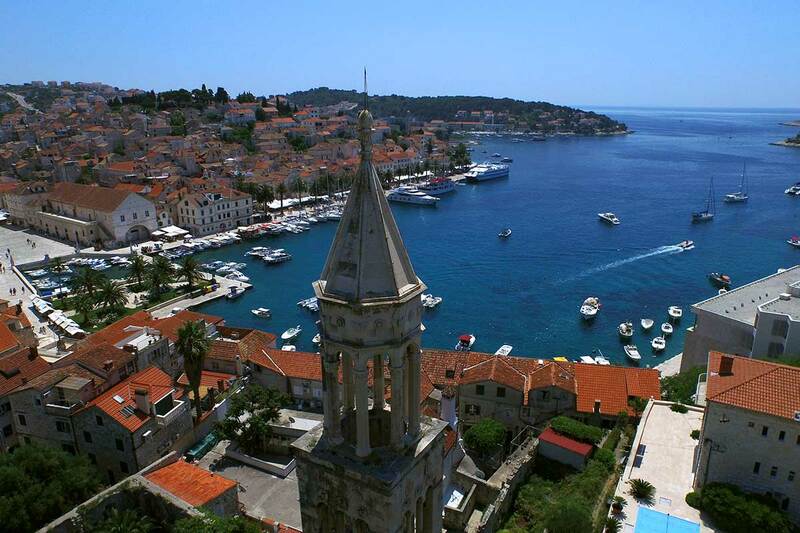 Hvar has a rich cultural tradition as well; along with independent Dubrovnik, Hvar was an important center of early Croatian literature, as well as for architecture, sculpture, painting and music. 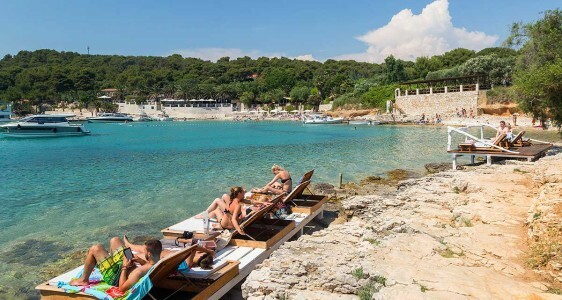 It is also very popular among the young visitors as an excellent party place, with the numerous bars and night clubs close by. 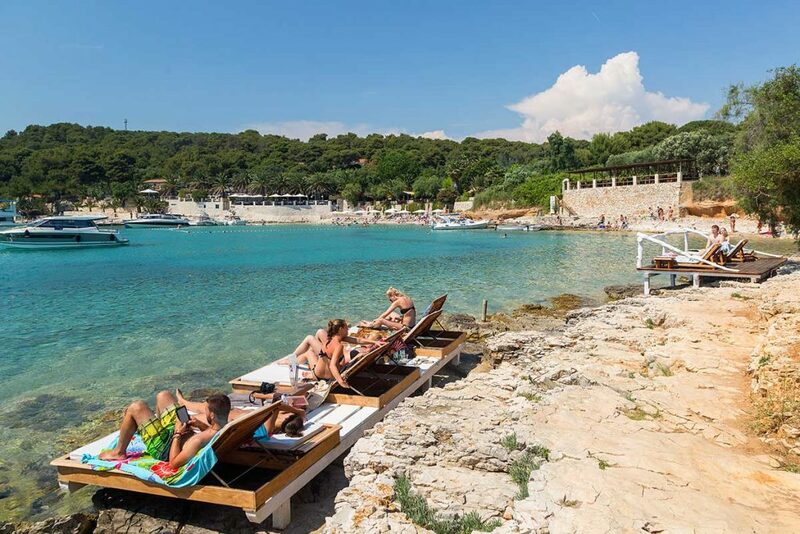 Even the annual global manifestation of Ultra Europe Festival is held there in July each year, making it the best open party place in the whole of Europe. 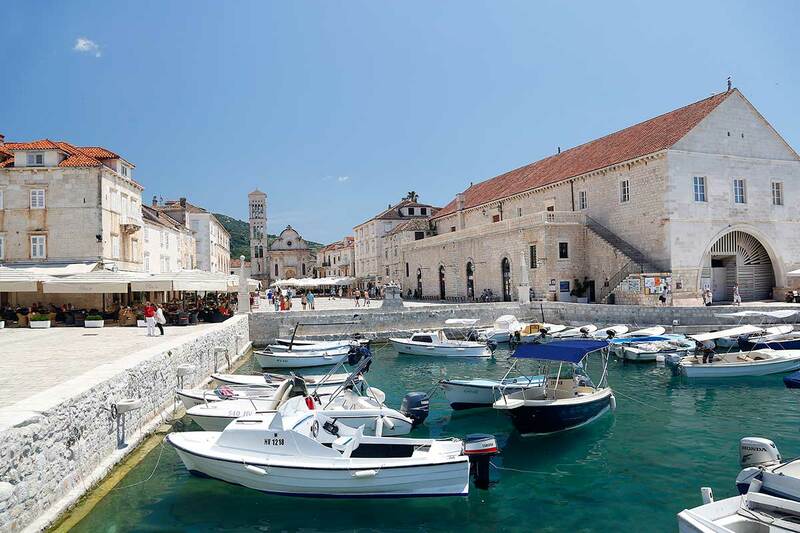 As we moor our speedboat right on the main promenade of Hvar you will instantly find yourself right in the heart of this historic city. 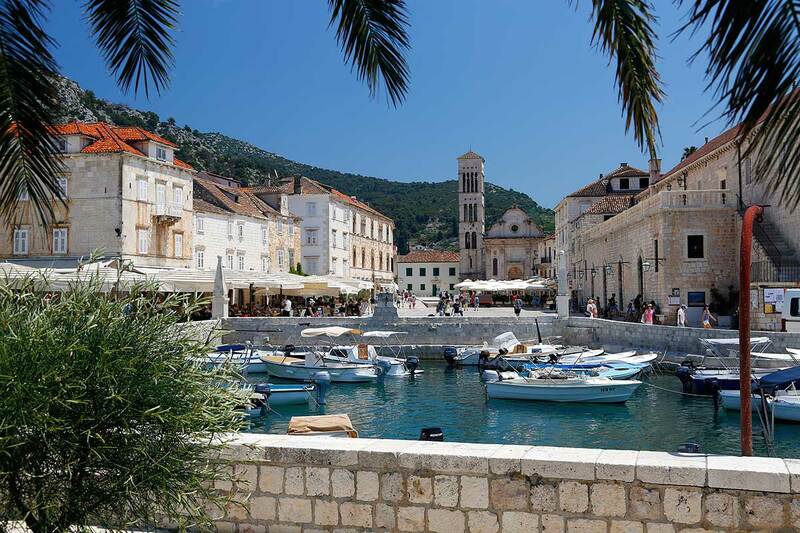 From there you can begin your exploration of the town, discovering rich cultural heritage, traditional crafts, amazing architecture and meeting friendly locals. 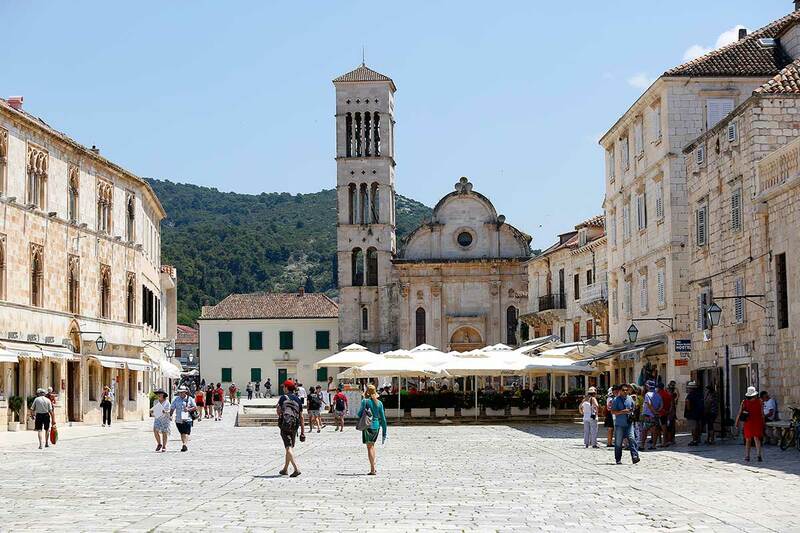 St. Stephen Cathedral is located at the bottom of the town square and is most impressive structure in Hvar. 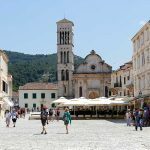 You will notice two entrances into the Cathedral, one whose steps are all worn out and the other which still looks like it was built just few years ago. 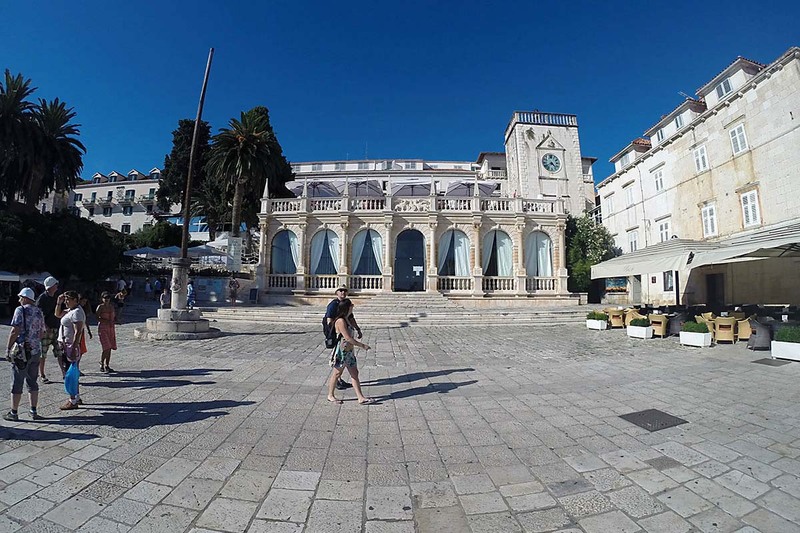 The first entrance was for the common folk while the second one was reserved for the towns aristocracy. 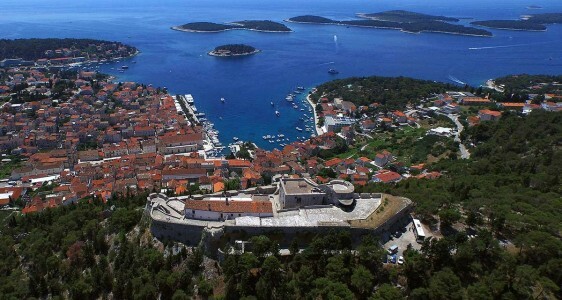 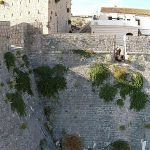 Fortica Fortress called Spanish fortress is probably the first thing you will notice as we arrive in Hvar town with our speedboat. 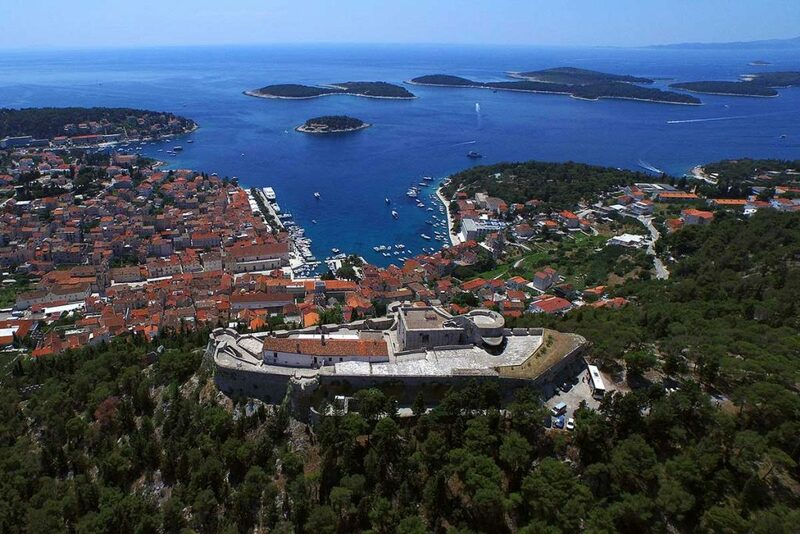 Towering over the city this fortress was built to protect the city from numerous invaders throughout the centuries. 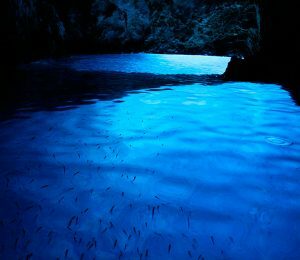 Today it is the must stop to visit and take amazing photos of the breathtaking scenery which is spreading all around you. 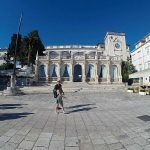 Roaming the old town – With numerous architectural influences throughout the centuries, primarily dominated by Venetian architecture, walking the stone streets of Hvar’s old town reveals not only the architecture but the way of life the locals have lived in this area during its long and rich history. 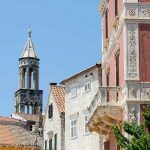 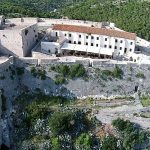 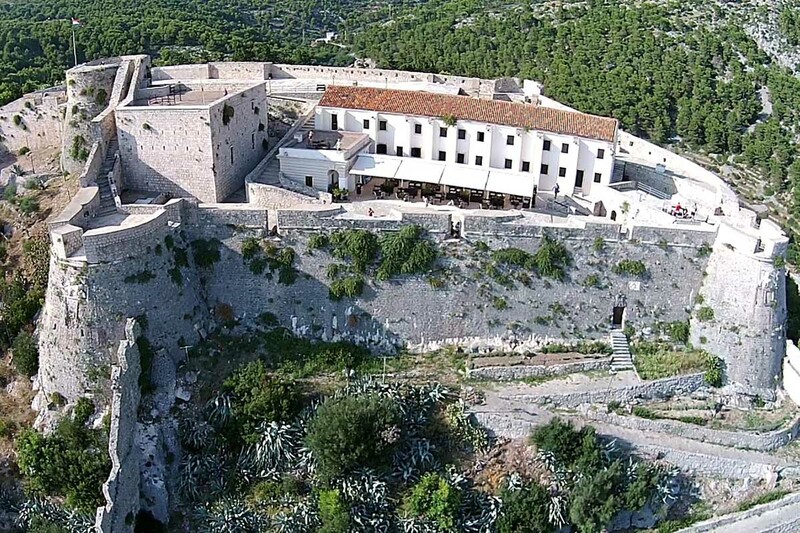 Bishop’s Palace (16th century), Hanibal Lucic Summer Residence (Dalmatian Renaissance architecture), Benedictine Monastery (famous for creating laces out of agave leaves), Franciscan Monastery (15th century) and Theater (first public theater in Europe, 1612.). 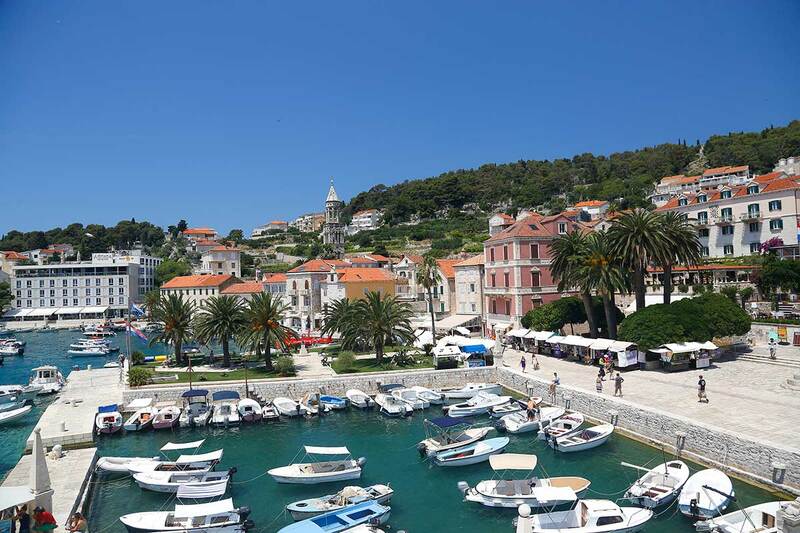 Friendly people, well-indented coast, numerous gorgeous and picturesque beaches and hidden bays, virgin scenic nature, wealthy historical and cultural heritage, the scent of lavender and rosemary, olive trees and vineyards and fine wine are just some of the reasons that Hvar town welcomes thousands of tourists each year.